Leading Exporter of flow totaliser from Mumbai. With the constant support of experienced professionals, we are fulfilling the varied needs of the valued customers by offering optimum quality Flow Totaliser. 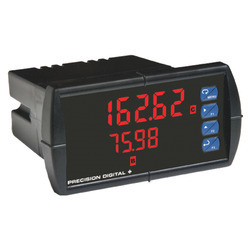 This has user-friendly display & keyboard interface with the indication for flow rate, total & batch. Manufactured using modern machines, we offered these products in different specifications. Apart from this, we are offering these flow totalisers at very reasonable rates.